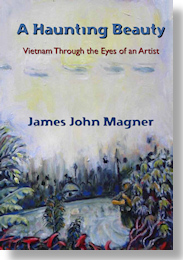 The 2011 Richard Boes Memorial Award goes to James John Magner for his book A Haunting Beauty: Vietnam Through the Eyes of an Artist (ISBN 978-1461057543). The award is a $200 cash prize for best debut book by a veteran (fiction or memoir) and is sponsored by Modern History Press. An excerpt from Magner’s book will appear in an upcoming issue of Recovering The Self: A Journal of Hope and Healing. The contest is administered by Reader Views Inc., which includes a general book award contest as well. 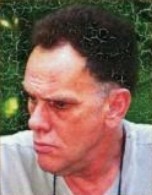 Richard Boes enlisted into the US Army and served in Vietnam in 1969 – 1970 with the First Air Cav. He is the author of two books, The Last Dead Soldier Left Alive (2007) a firsthand inquiry into why thousands of Vietnam veterans have committed suicide and Last Train Out (2008). Right up to his death Richard was writing a third, In the Valley of Dry Bones. He passed away on Feb 21st, 2009 at the VA Hospital in Albany, NY.